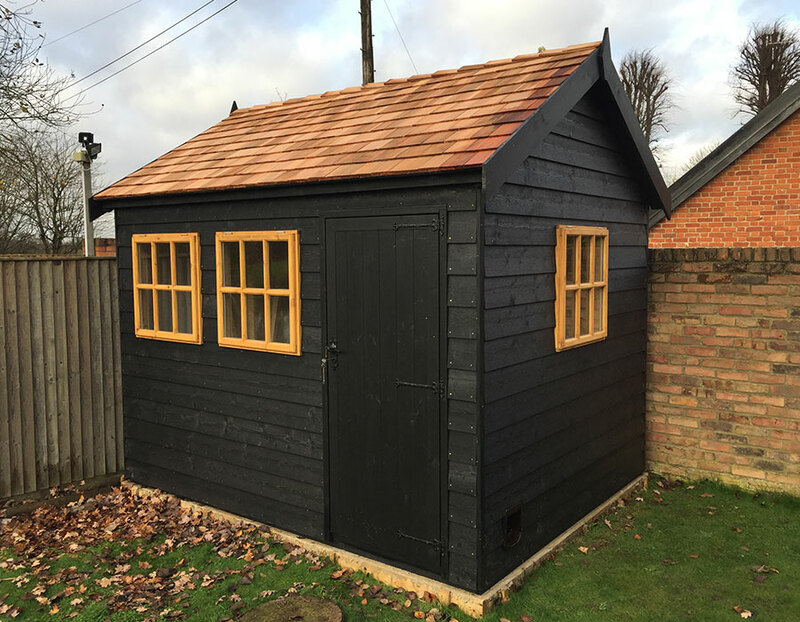 K&S sheds based in essex have an extensive product range that includes sheds, summerhouses, cabins, Children's playhouses, Octagonals, chalets, beach huts, workshops, games rooms. In all shapes and sizes to suit your individual needs. We can deliver all over Essex, most of Kent, East London and also south London. Other delivery areas includes Surrey also Hertfordshire please note delivery's on sheds out of Essex may have a delivery charge, we also deliver to Kent, London, Herts and Surrey. 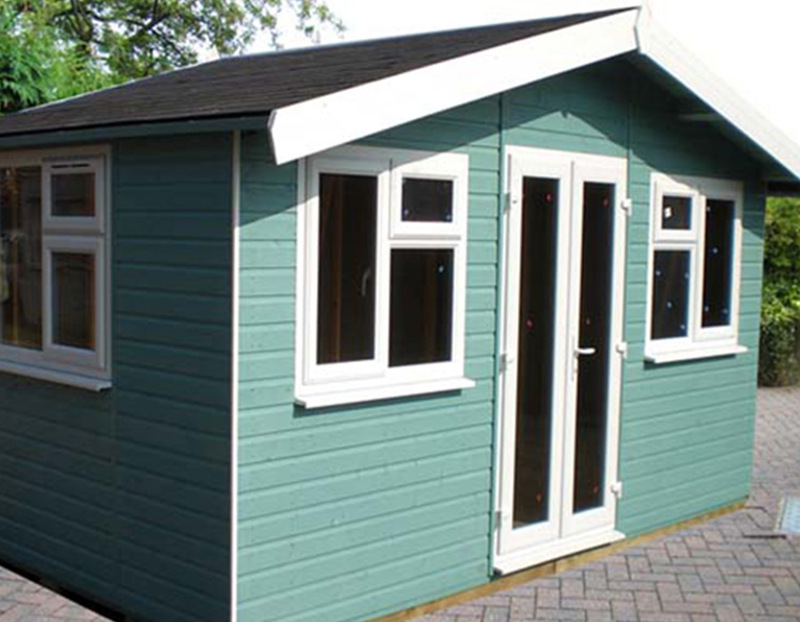 We have a fantastic selection of both Pent sheds and Apex sheds. Many customers ask us what is the difference between the two? The main difference is the number actually the number of roof slopes they have. An apex roof has two slopes with meet in the middle and our pent sheds have just a single slope, with the highest point located on the wall which has the opening door. Many people prefer a traditional look to their garden in which case they may chose an Apex shed. However, if you are looking for a more modern design to your garden an apex shed would be the perfect solution for you. K&S Sheds in Kent do not compromise upon service even though we aim to offer the UK's lowest delivered pricing upon our product range. All of K&S Sheds products can be bespoke to suite customer's own specification. 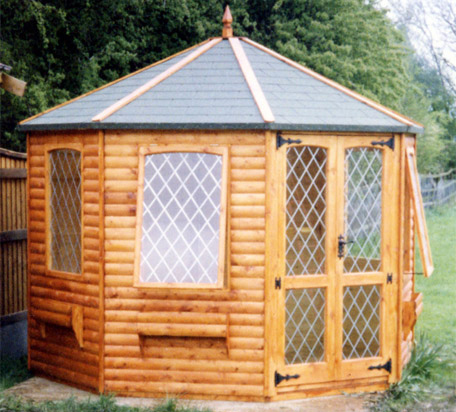 So if you are in need of a new cabin, summerhouse, workshop, playhouse, Octagonal summerhouse, games room, chalet or sheds in Essex please do not hesitate to contact K&S Sheds and our team will be only to pleased to help. K&S Sheds Ltd established in 1985 and have 23 years experience in making all kinds of out buildings including sheds, cabins, chalets, summerhouses, octagonal summerhouses, corner sheds, workshops, games rooms, playhouses, corner summerhouses, timber garages,home offices,garden gazebos, and bespoke buildings. 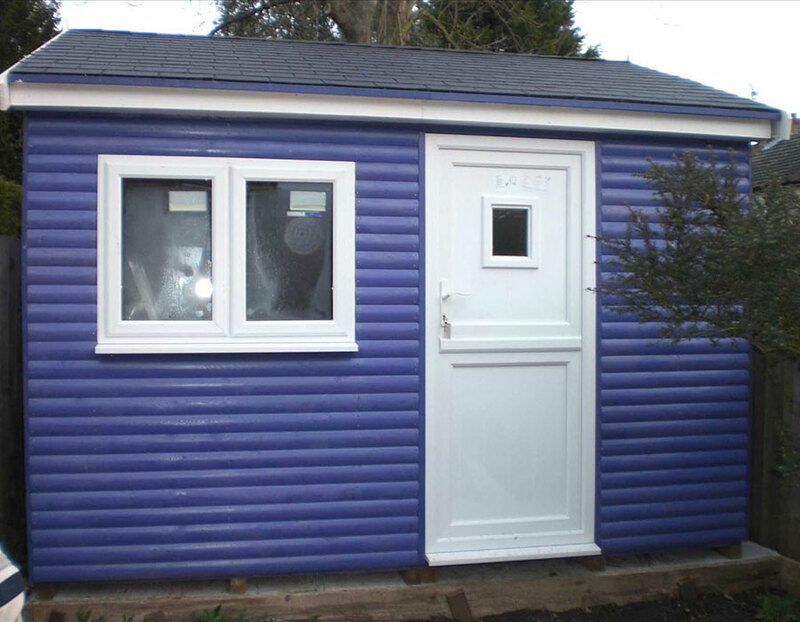 K&S sheds take pride in making top quality sheds, cabins, chalets, summerhouses, workshops, and bespoke buildings at very competitive prices. 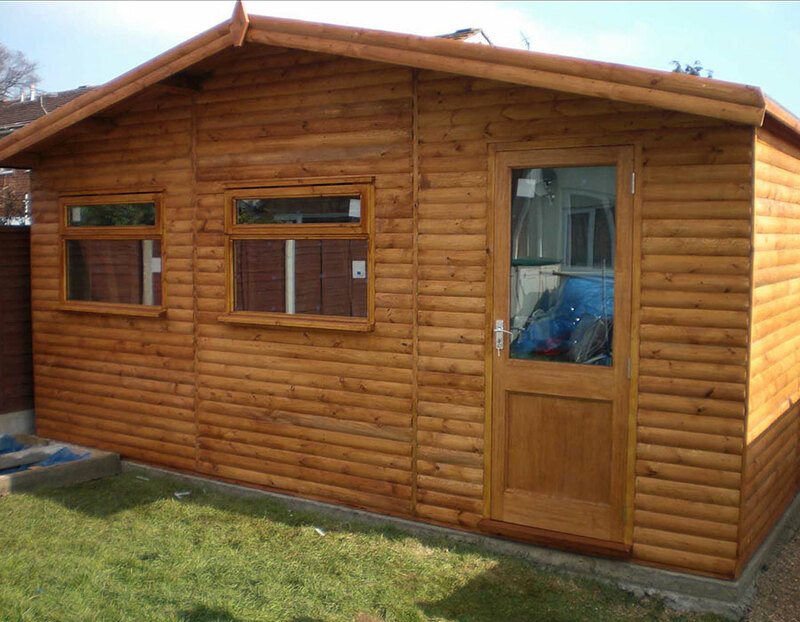 Only using top grade materials all sheds, cabins, workshops, summerhouses, mainly using Russian or Scandinavian redwood shiplap or log lap exterior cladding. As a company K&S Sheds aim is to supply the best possible product and quality at the best possible price. Buying direct from K&S Sheds the customer makes a saving by cutting out the middleman. Also buying directly from K&S sheds the customer can specify where they require window and door placement or any other requirements they may have. We supply sheds to essex Sheds to kent buildings to london garden sheds to surrey sheds to hertfordshire. So if you require a new shed, cabin, summer house, chalet, or workshop please contact K&S Sheds today for an instant quote on any of our vast product range and delivery areas including essex,kent,london,surrey,hertfordshire,for areas outside of essex there will be a delivery charge. Most our range of buildings we make can be made to customers own specification, doors can be placed on any part of the building as with windows, most of our product range can be made to customers required size in shiplap or log lap. If you have a particular shed,workshop,summerhouse or cabin in mind and you wish to change doors,windows or size please contact us and our friendly staff will be happy to help. Why pay for very expensive office space when you can work from home and save on rent and rates. Made from top grade redwood painted choice of colours house grade upvc windows with 28mm double glazed units plus upvc french doors with saftey glass felt shingles on the roof.